Numerous services are available to young people aging out of foster care in Arizona, but only a fraction of the intended recipients are taking advantage. A new brief from the Annie E. Casey Foundation finds only 25 percent of youth who aged out of foster care take advantage of services offered such as money to cover housing and college tuition. Other services available include being connected to a case work. They can also get help enrolling in college, applying for a job, getting a state ID and opening a bank account. Arizona has been named as one of the worst states for teachers in a new report by the personal-finance website WalletHub. “Unfortunately, Arizona is the second-worst place for teachers – second only to Hawaii,” said Jill Gonzalez, an analyst for WalletHub. A group promoting school choice in Arizona is marketing the state’s controversial voucher program to Spanish-speaking parents by telling them immigration status isn’t a barrier to receiving public money to attend private school. 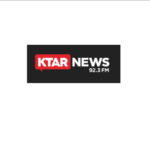 A group of Latino activists and leaders in Arizona launched a campaign on Thursday in an effort to achieve fair representation on three education boards in the state. The Arizona for Latino Leaders in Education, otherwise known as ALL in for Education AZ, want Gov. 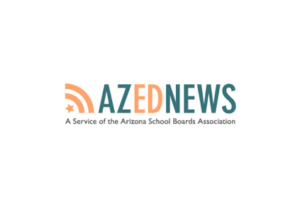 Doug Ducey to appoint more Latinos to the Arizona State Board of Education, Arizona Board of Regents and Arizona State Board for Charter Schools. Arizona is making a slow progress toward its education goals — but a recent report found that there is still a long way to go before the state reaches all of them by 2030. 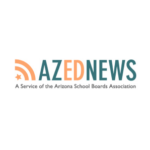 The Arizona Progress Meter, a project of Expect More Arizona, found that Arizona has not yet reached any of its seven goals when it comes to education. Christine Thompson, president of Expect More Arizona, said it’s a start.